Priced below KBB Fair Purchase Price! $2,909 off MSRP! Magnetic 2019 Ford Explorer Limited 3.5L V6 Ti-VCT At Mullinax Ford we offer customers up-front pricing and NEVER charge a Dealer Fee. You'll always get the best price instantly, because it's right there on the windshield of your chosen vehicle. There's no hassle, and our Up Front® pricing is completely transparent. At some dealers, you'll hear about add-on fees like Dealer Fees, service fees, prep fees, administrative fees and handling fees. There's none of that at Mullinax Ford of Central Florida. Instead, we save our clients as much as $900 that they'd be forced to spend elsewhere. We also offer you comprehensive five-store advantage. What does that mean? Between all of our dealerships, you have thousands of vehicles to choose from, and we have the largest inventory of new Ford models in Central Florida. If you want a new Ford, there's only one place to shop in Central Florida -- Mullinax Ford.  We want to make sure you’re completely satisfied with your experience at Mullinax Ford. MUST FINANCE THROUGH FORD CREDIT TO RECEIVE OFFER! !